To say that someone’s music ‘goes far beyond the DJ booth it’s played in’ is a throwaway sentence. It refers to someone as an ‘eclectic DJ’ or any other washed-out description for an electronic music artist. While we could kick off this discussion with the highly-respected Black Madonna by giving a wishy-washy statement as to the obvious far reaching effect of her music, she is worthy of a genuinely meaningful opening paragraph. In truth, The Black Madonna represents a lot of different things to a lot of different people. To some, she is an encyclopedia of house music, someone who lives and breaths the genre. To others, she is one of the leading voices for equality in an industry that still trips over its shoelaces when it comes to the issue of equal representation. To an even larger proportion, she is a voice for the voiceless. But most of all, she is the human embodiment of Chicago grit, something that firmly ties all of her other exploits fittingly together in a tight knot, not a pretty bow. 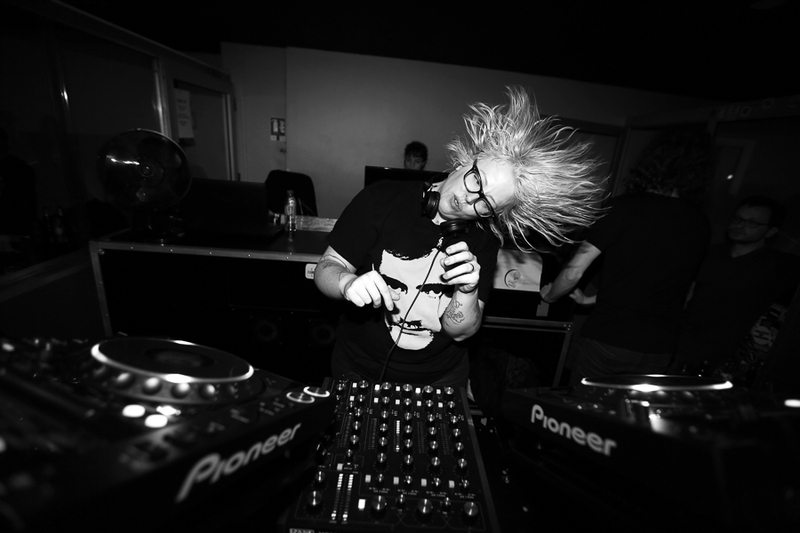 The Black Madonna has always been open about her struggle for success in music. Her rise to the top is one of the more documented and painstaking struggles an artist is likely to endure. As strong as her passion to succeed has been, it’s her desire to be heard that has been steadfast throughout her ascent to the top. Despite a myriad of objects being placed in front of her along the way. She has undoubtedly been one of the most successful DJs in the world for quite some time now, winning Mixmag’s ‘DJ of the Year’ award in 2016, but she has never basked in her own spotlight. Instead, she has thrust it elsewhere to highlight issues within the music industry and the world at large, specifically on the fractured terrain that is the United States. Her unmistakable ‘We Still Believe’ parties are currently enjoying the most fruitful period of their existence, coming off a full stage takeover at Manchester’s renowned Parklife festival. That was We Still Believe’s largest event to date and they have another, bigger event looming in August. It was fair to wonder whether the series maintained its original atmosphere, as they too hark back to more humble origins. 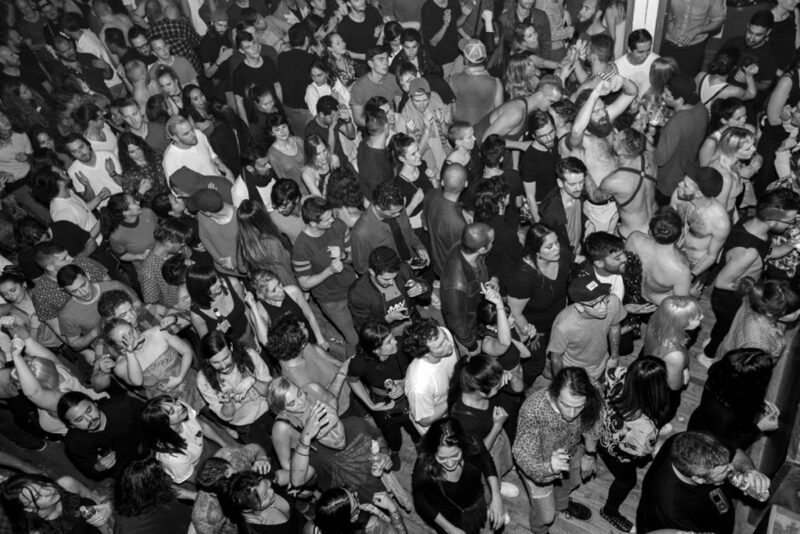 “It’s a long way from the 100-person warehouse party that it started out as. The party that it came from I should say. We Still Believe was a Smartbar residency, but the name referenced a sign that used to hang at an old party I used to be involved with.” Taking the current scale of the event into perspective for a minute, she continues, “Anytime you make a leap forward, as we did last year with the York Hall show in London in December, and as we did at Parklife and as we will do again on August 4 in Shoreditch with the Block Party, there’s always a little nervousness. Anything that has your name plastered to it, the anxiety level is certainly amplified, but the reward is amplified too. With a motley crew of Mall Grab, Honey Dijon, Jackmaster, Peggy Gou, Midland and HAAi on board, it was fair to assume that things may have gotten a little bit out of hand in such an energetic environment. “It was hot as hell!” She says, laughing. “I walked up there and I was like, ‘Oh my god, I am going to melt’, but that added to it, as did the randomness; people running on stage together, Jack [Jackmaster] played and then Peggy [Gou] ran on and then I ran on. The chaos of that and that sort of unsterile social environment is a big part of how I do things in my version of world building. Up until now, her depiction of the colourful scenes of Parklife has been totally measured. Regarding the more serious topics, she doesn’t mince her words in the slightest. “The stakes were so low for so long that I haven’t adjusted to the idea that there might be consequences. I have always been a loudmouth my entire life; there’s no question about it. I’m 40 and I understand that I am a strong flavour; not everyone likes every strong flavour. Not everyone likes truffles, but I love them. There are people that will disagree with me. That’s fine. The notion of people having to face uncomfortable situations and opinions has been amplified in America of late. Trump’s presidency has seen prejudice rear its ugly head in broad daylight across the nation more than ever. The fight against racism runs deep in The Black Madonna’s family, with her father pictured protesting the Jim Crow laws in the 1950s, something she recently posted on her Facebook page. “There were a lot of well-intentioned white people that lived under the illusion of America being much greener grass. There were a lot of really well-intentioned people that didn’t have many friends that didn’t look like them who were surprised when their neighbours took up tiki torches and tried to run over protesters! “We are a colonial country and that comes with a mighty big graveyard underneath it. We didn’t become an English-speaking country by sitting down to eat turkey with one another on Thanksgiving, that’s not how that happened. There is some really deep-seated, ugly, festering stuff that we all have to encounter in our neighbours and in ourselves and all I can say is that I have to believe that the arc of history does bend towards justice, to borrow a phrase.” With a hopeful, but equally laboured sigh, she carries on, “I have to believe that, because if I didn’t believe, I don’t know what I would do. I live abroad now and I’m as politically active, actually more so than ever before, when I go home. I have a number of organisations that I work with and help fund. If I didn’t think that we were capable of at least winning some small battles that will add up in the long run, then I don’t know what I’d do. In an attempt to vaguely steer the conversation back in the direction of music, we turn our attention to Chicago and how her incomparable relationship with the storied Smartbar not only developed an adoration for house in its rawest format, but shaped her rebellious outlook on life. Laughing for a split second at that, her serious tone returns to detail her complicated relationship with the Midwestern city. “Chicago is difficult. It’s not an easy place to love. I do love it but it’s like a family member; we have fights sometimes and I can tell you exactly what’s wrong with it, but if anyone else messes with Chicago then it’s like, knuckles up. Formed in one of house music’s most revered institutions, alongside a network of like-minded DJs and producers, she has managed to carry her sense of community with her internationally. “Before I toured full time, I was the lead booker at Smartbar and I created the new version of the residents programme and all the rules for it and how it worked. The whole idea was to build this internal structure for the club to create residents that would persist in the hope that those people would go on to make records together and work on events. We eventually managed to take some of those events outside the building and the idea was that we were stronger as a unit then we ever would be on our own. “I drew out my grand plan for how this was going to work and for the most part it has done that, and continues to do so because one my best friends, Jason Garden, is now the booker there and he was my assistant in the past. The concept has remained the same as has the core values for how we would do things, making sure that there were different kinds of representation on the bill and so on. “When I left Smartbar that idea stuck with me. If I’m able exert any influence on who’s on the line up with me, then I will. It happens quite a lot; people are open to suggestions. “I hope that we can still be mindful of it. I don’t think Avicii is the last of his kind. Having watched the documentary about him, a lot of responsibilities rest with management companies not to treat us artists like fossil fuels that you can burn through. I am extremely lucky because my management company are so good and they never, ever push me. I’m the one that’s pushing to work harder when I shouldn’t. They’re so protective of me and I think that’s something we should see more. On such a poignant note, she pauses, only briefly, but it feels like it was an eternity. The silent phone line is broken by a deep breath, followed by an assertion that while music is what gets her out of bed, it’s that initial pulse that’s even more precious. Wrapping these conversations up usually makes for quite an easy task. Saying goodbye to someone you solely know through a blue icon with an ‘S’ in the middle is quite a relief at times, but on this occasion, a thank you was in order for the human effort the Chicago artist expends. Whether it’s in front of a crowd or behind a screen. 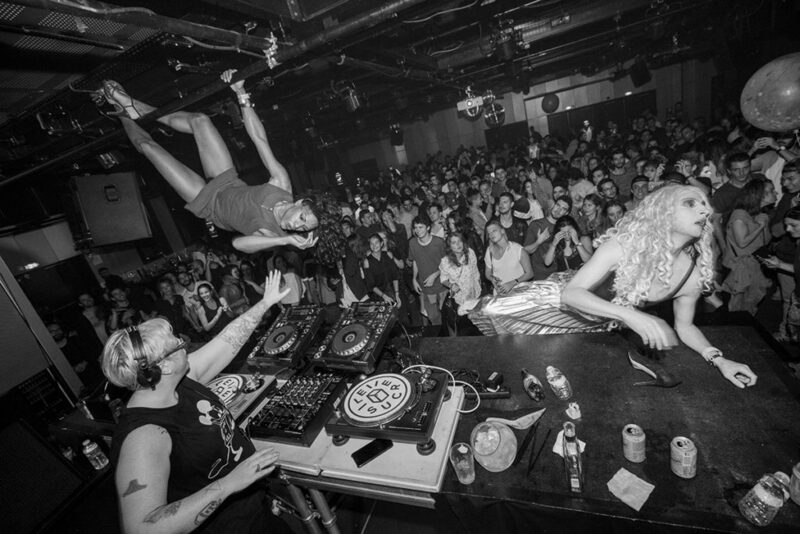 As corny as it sounds, individuals like The Black Madonna go much further than their music does. The world can’t be solely built in a DJ booth. 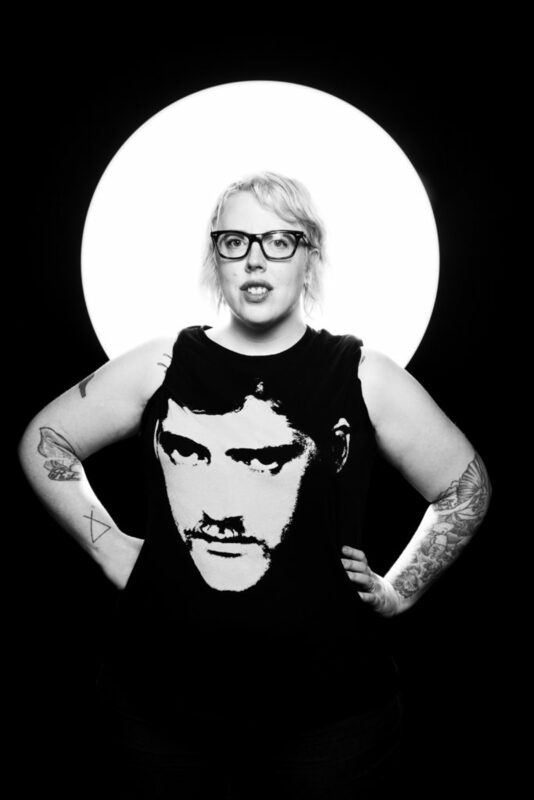 The Black Madonna plays Metropolis Festival, Oct 27th – 28th.